So this friday i was in the cinema with some friends to watch The Hobbit 2. 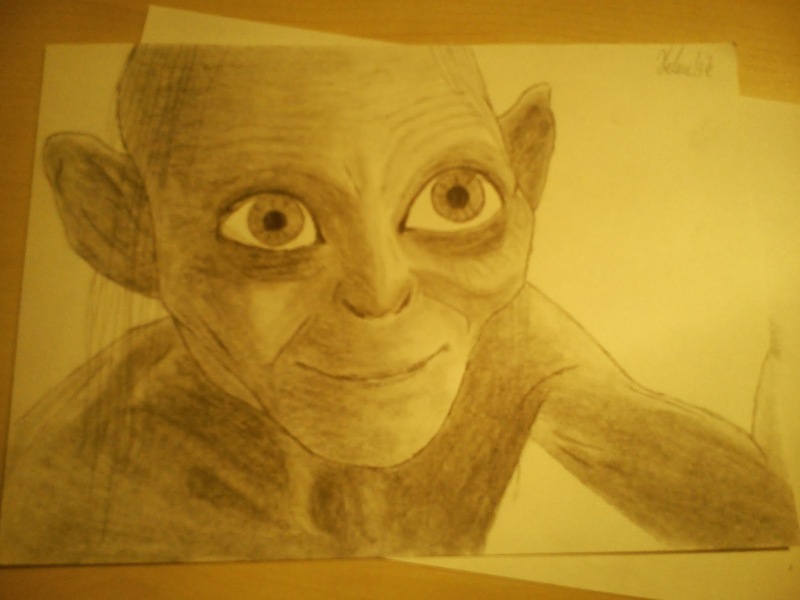 The day before i got inspired to draw a little :3 i don't know a lot about the Lord of the Rings.. i know im not a prof geek.. but i do know gollum! So i though i would give my coal pencils another try! 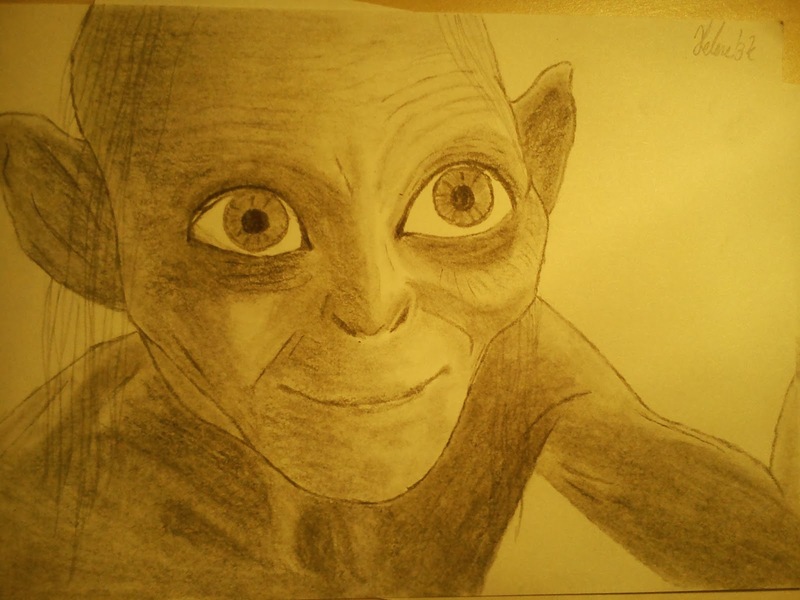 By the way, I think the eyes are good, they give him personality, the personality of Smeagol! 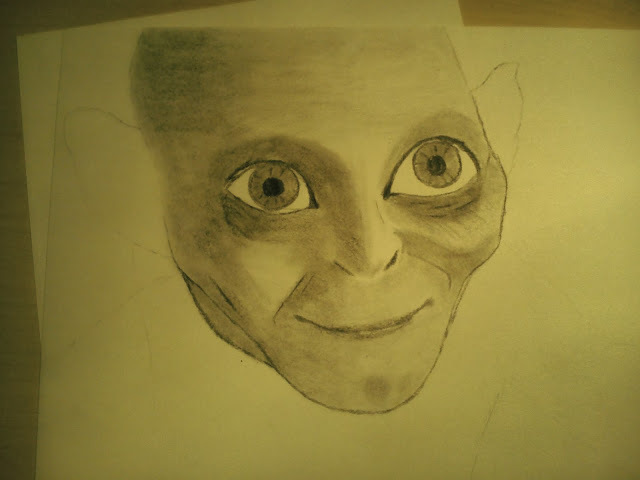 I think he looks mostly like Smeagol!